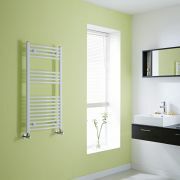 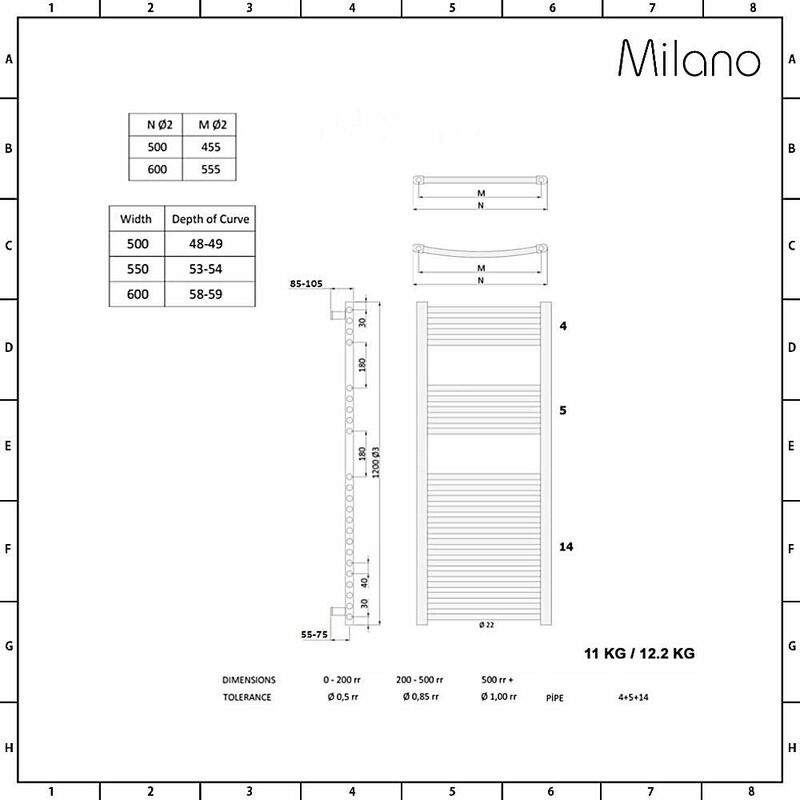 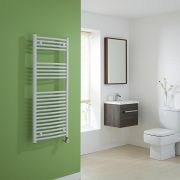 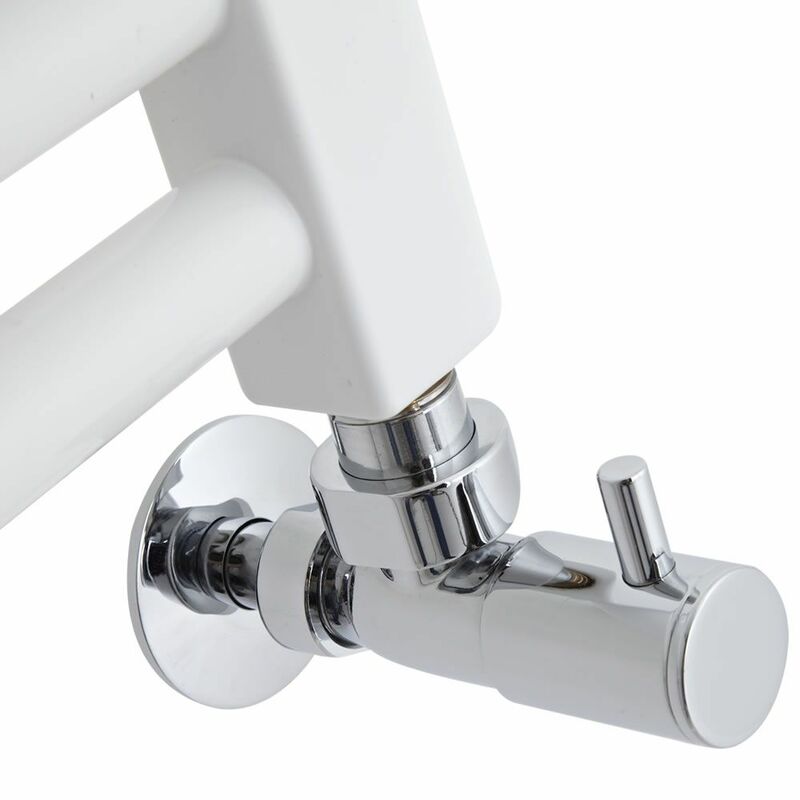 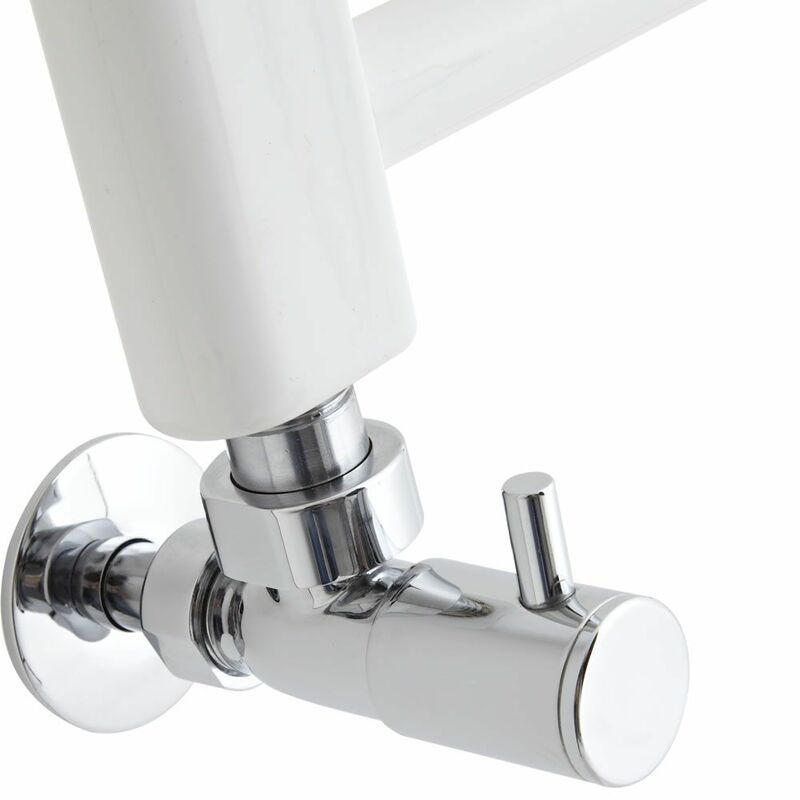 Enjoy the luxury of having warm and dry towels every time you bathe, with the Milano Calder curved heated towel rail. This stylish radiator will also enhance the look of your bathroom, with its curved design and white finish which creates a fresh look in any bathroom suite. 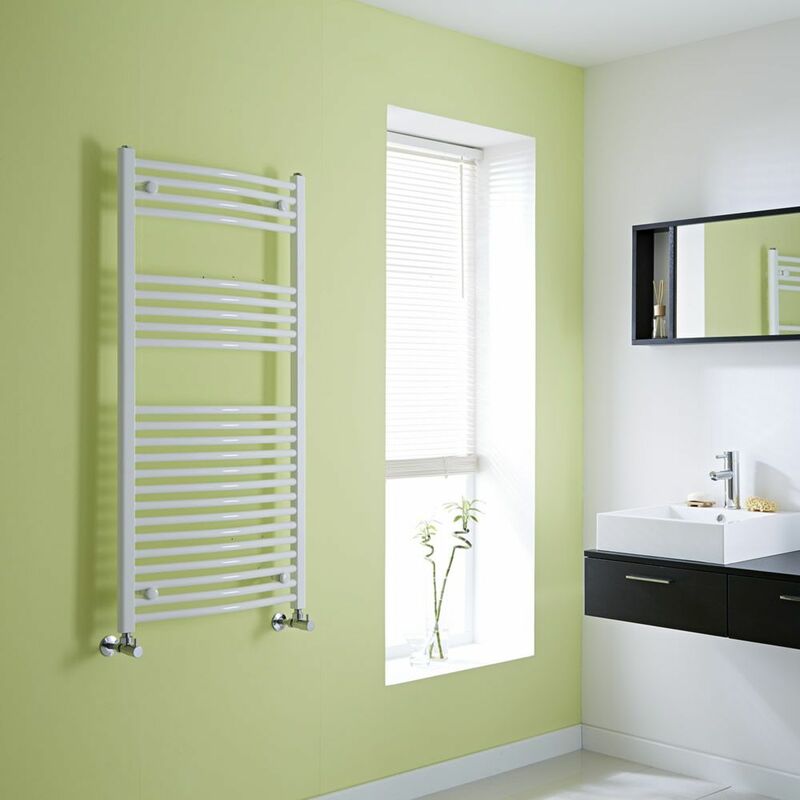 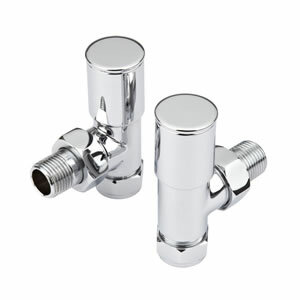 It has a high heat output of 2,859 BTUs an hour which will create a cosy environment in the bathroom and heat towels through quickly and thoroughly. 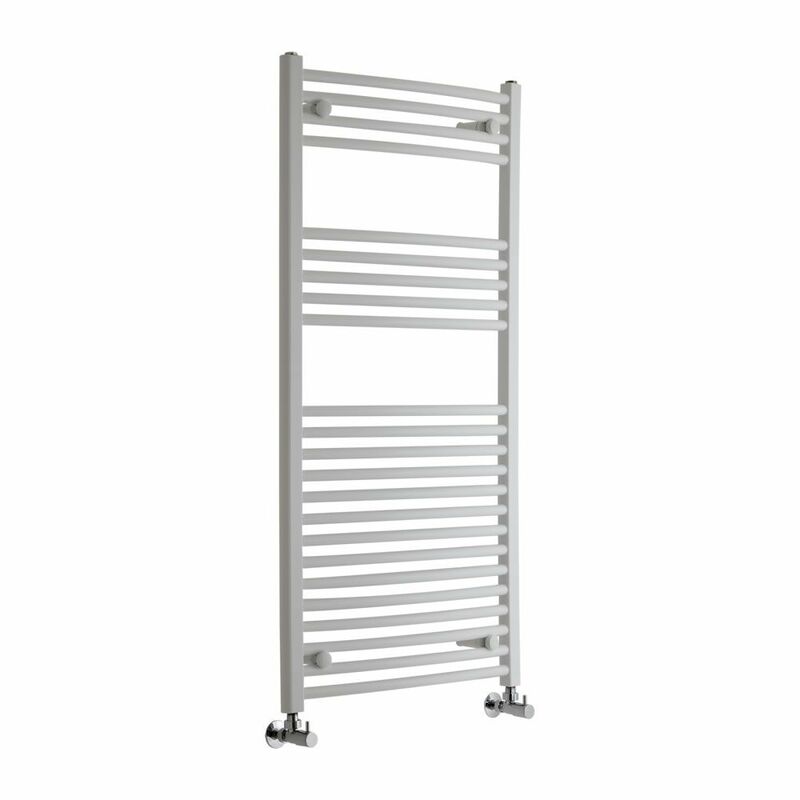 At 1200mm x 600mm, this model has plenty of hanging space for towels, which will help to keep the bathroom neat and tidy too.